What is Australia's Policy on Macedonia? Since the beginning of the year, protests around the world—including in Australia—have drawn attention to the dispute over the use of the name Macedonia. What position should Canberra take? The recent Macedonia-centred protests are the result of heightened tensions between the Republic of Macedonia, which claims a historical right to the name, and Greece which says that the name implies territorial claims to its own land. As a member of the UN Human Rights Council between 2018 and 2020, Australia has pledged to protect the rights of all states equally. This includes the Republic of Macedonia, which has a 100,000-strong diaspora in Australia. 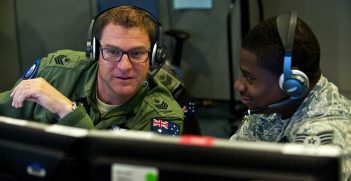 Moreover, in its Defence White Paper 2016 and in its Foreign Policy White Paper 2017 Australia placed a heavy emphasis on supporting a rules-based international order. Since 1993, the Republic of Macedonia has been placed under extreme pressure to change its name, identity, language and culture as a pre-condition for entry into NATO and the European Union. It needs Australia’s help to secure its legitimate rights. Macedonians have called on the governments of the 137 states which recognised the Republic of Macedonia under its constitutional name, as well as all other friendly nations such as Australia. They ask for support within the framework of the UN Human Rights Council, and the establishment of an independent commission of inquiry. The inquiry would look into the human rights violations, as well as crimes against humanity, war crimes and genocide, committed against the Macedonian minority in Greece since 1913. It would also determine the relationship of these crimes with the present-day Greek policy of denial of the existence of a separate ethnic Macedonian people, language and history within and outside Greek territory. Macedonians have also called on friendly people and nations to support, within the framework of the upcoming UN General Assembly, a resolution to extend the membership of Macedonia under its official constitutional name, Republic of Macedonia, and to thereby annul or amend Security Council Resolution 817/1993 and the General Assembly Resolution 47/225. Australia’s ability to protect the rights of the Republic of Macedonia and its people at the UN and in regional organisations such as NATO and the EU is hampered. Australia must respect Macedonia’s right to self-determination. The Australian government has obligations which it has undertaken as signatory to the most important binding human rights documents in the history of mankind, which emanate from the Universal Declaration of Human Rights: the International Covenant on Civil and Political Rights and the International Covenant of Economic, Social and Cultural Rights. Article 1 of both covenants stipulates that: “All peoples have the right to self-determination. By virtue of that right they freely determine their political status and freely pursue their economic, social and cultural development.” So too, the Macedonian people have the right to their self-determination, including to freely determine their political status, which includes determining the name of their country, and to freely pursue their economic social and cultural development. Australia’s foreign policy on Macedonia’s name and its right to self-determination has not evolved since 1994. This is despite the fact that the Republic of Macedonia has been recognised under its constitutional name by 137 nations at the UN including the US, the UK, China, Russia, India, Indonesia, Canada and Turkey. The liberal democratic system in Australia is not properly discharging its ultimate function, to help Australian governments to withstand pressures from special interests and from foreign powers. Foreign policy on Macedonia has largely avoided scrutiny in national, parliamentary and policy debates. Clearer analysis, greater transparency and independence in the making and maintenance of foreign policy in general, and for Macedonia in particular, is badly needed. Australia’s major political parties have not acknowledged that Macedonia’s international status is fait accompli. Both the Australian Labor Party (ALP) and the Liberal and National Coalition have not justified why they have succumbed to pressure from the Hellenic Republic and its support base in Australia. They have also not disclosed how much funding they have received since 1994 from outside and inside Australia to maintain this status quo. In the end, it has all come down to domestic politics over coherent, sustainable and ethical foreign policy. Australia does not have an effective and regular review mechanism for its foreign policies in general and for Macedonia in particular. Australia’s response to human rights and self-determination of Macedonia is influenced by public information. At present there are no national transparency mechanisms to generate information and to promote a wider public understanding of the domestic and international consequences of unsustainable policies. There is a dearth of quality foreign affairs articles on Macedonia in Australian research journals, in Australian university libraries or in the library of the Australian parliament. Since 1994, the Australian media has not devoted much space to international affairs and on the obligations that Australia has towards protecting the rights of small states like Macedonia. 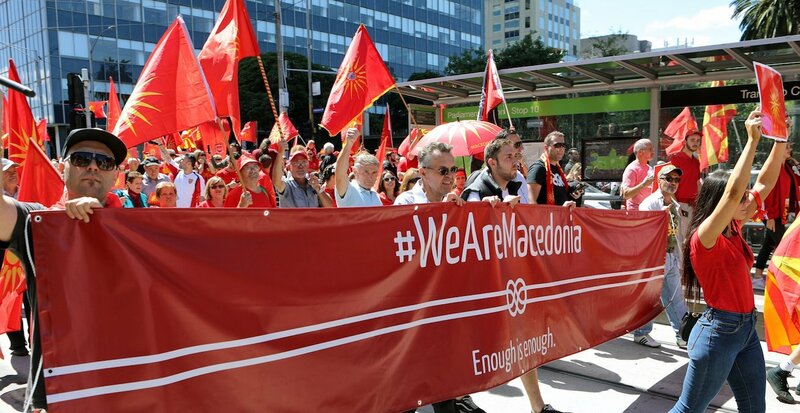 The Fairfax and Murdoch media and even the ABC were hesitant to report on the peaceful human rights protest that took place across Australia, in Macedonia and across the world on 4 March this year, perhaps for fear of upsetting the Hellenic propaganda machinery. Think tanks and civil society organisations have also failed to provide coverage of Macedonian affairs. The Australian Institute of International Affairs aims to enhance our understanding of global issues, yet very little attention has been devoted in events, publications, scholarship, forums and debates to understanding the challenges facing Macedonia since it gained its independence in 1991. Finally, the Australian Macedonian community has not managed to follow the example of the Jewish, Italian, Croatian and Slovenian community to have federal MPs and Senators from its ranks to contribute to debates and foreign policies in the Australian Government and the Parliament. Ordan Andreevski is director of Australian Outreach at the United Macedonian Diaspora. Dr Vera Lalchevska is a PhD student in political science at the University of Geneva. 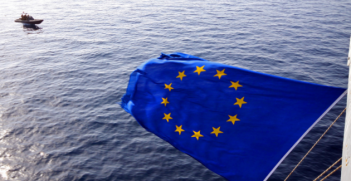 The EU-Australia free trade agreement is driven by undeniable mutual needs. 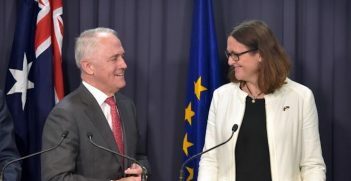 Australia needs the EU as its largest services trade and investment partner, and in turn the EU needs Australia as a commercial base in Asia and a reliable energy supplier.